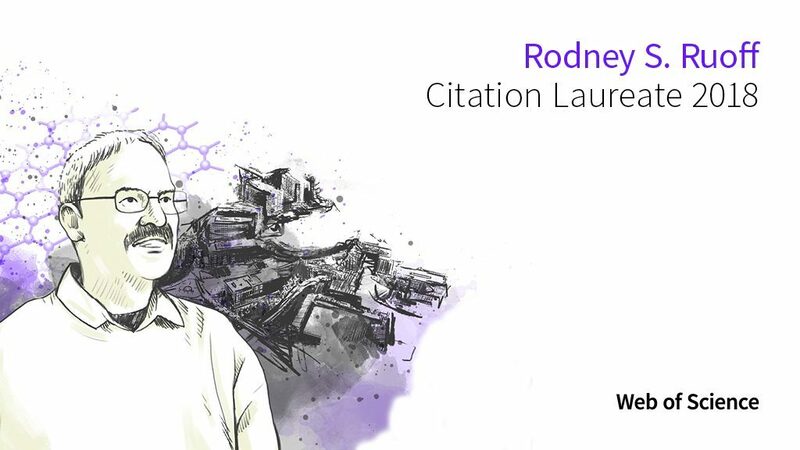 Distinguished Professor Rodney S. Ruoff named among ‘2018 Citation Laureates’ by Clarivate Analytics. Rodney S. Ruoff, Director of the Center for Multidimensional Carbon Materials (CMCM) at the Institute for Basic Science (IBS) and Distinguished Professor in the School of Natural Science at UNIST, was selected to the 2018 hall of Citation Laureates on September 20, 2018. Announced each year by Clarivate Analytics, this designation celebrates researchers whose influence is comparable to that of Nobel Prize recipients, as attested by exceptionally high citation records within the Web of Science. Since 2002, analysts at Clarivate Analytics (formely Thomson Reuters) have drawn on Web of Science publication and citation data to identify Nobel-worthy researchers in physiology, medicine, physics and chemistry, as well as economics. The Citation Laureates are scientists whose publications have been cited so often by their colleagues that they are forecast as potential recipients of the Nobel Prize in this year or in the future. 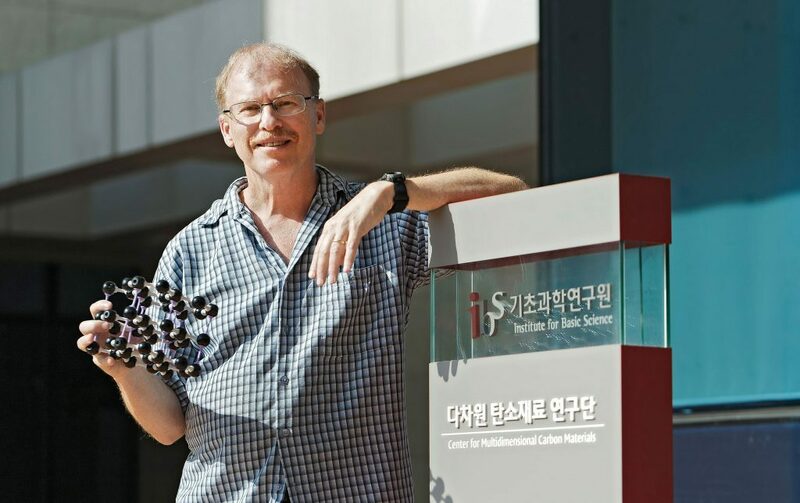 In this year’s projections, Clarivate Analytics has selected 17 top-tier scientists as potential prize winners and Distinguished Professor Ruoff is the only researcher, affiliated with a Korean research institution. 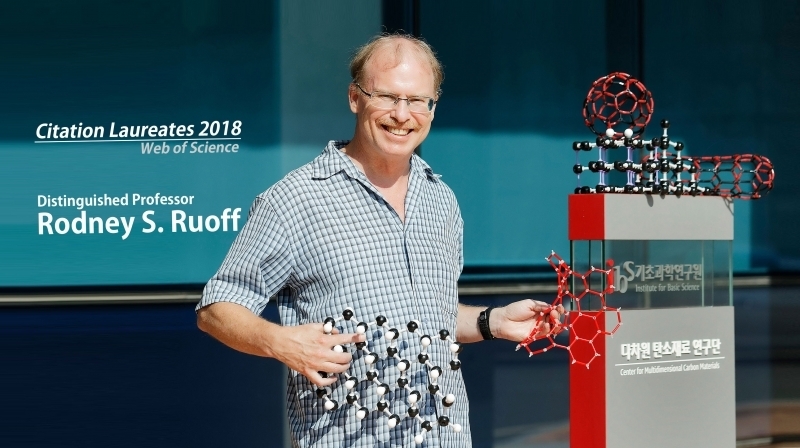 Distinguished Professor Ruoff has made pioneering discoveries in carbon science for more than 20 years. For his contributions to the fields of graphene and other carbon materials, he has received numerous prizes and awards. In 2014, Distinguished Professor Ruoff was awarded the David Turnbull Lectureship Award, one of most significant awards from the Materials Research Society, which honors a scientist’s significant contributions to understanding fundamental materials phenomena and properties. Besides, in 2016, he received the SGL Carbon (Skakel) Award for his outstanding and many contributions to the field of carbon materials. Distinguished Professor Ruoff has also co-authored over 440 peer-reviewed publications related to chemistry, physics, materials science, mechanics, and biomedical science. More recently, he has published a series of studies on graphene-based materials, developing new synthesis techniques and improving our understanding of the physical, chemical, and biological properties of these materials. His extensive studies of the growth of graphene by chemical vapor deposition and of the chemistry and uses of graphene oxide (such as in polymer composites, in electrodes, in thin films, in ‘paper-like’ materials) and for use in electrical energy storage triggered an extraordinary surge in research studies worldwide. As one example, his work with his team on graphene-based ultracapacitors, published in Nano Letters in 2008 (a total of 6,431 citations), has initiated a worldwide effort on the use of graphene materials in electrodes in electrical energy storage systems. Clarivate Analytics is the global leader in providing trusted insights and analytics to enable researchers to accelerate discovery. Again this year, it has revealed a new class of top-tier scientists whose research has been cited at high frequency – with papers typically in the top 0.01% globally most-cited – and whose contribution to science has been transformative, even revolutionary, as they join the hall of 2018 Citation Laureates and take their place among the world-class of global researchers. The forecast is based mainly on citations of published scientific literature, but has proved a reasonable predictor of future Nobel fame, having forecast 37 Nobel winners since the list began in 2002. The Citation Laureates need not get their Nobel in the same year that they are named to the list.